If you have ever thought about doing a Custom Restomod Jeep Grand Wagoneer, boy do I have one to show you! 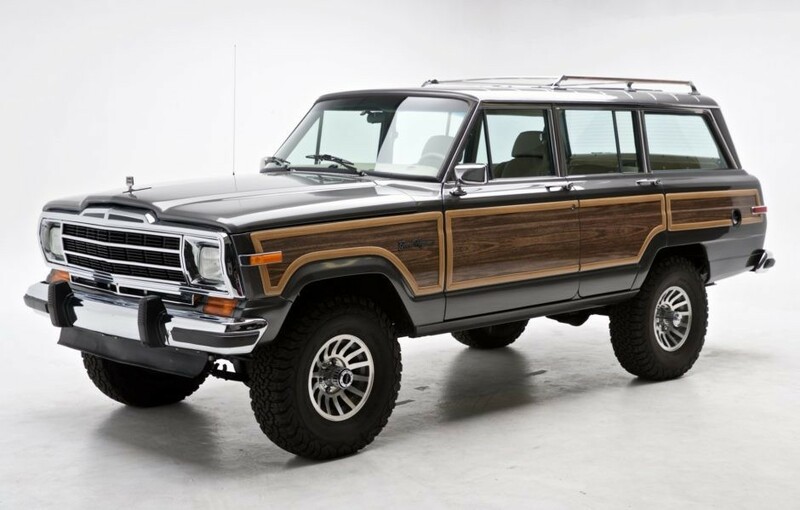 This 1989 Jeep Grand Wagoneer went to auction on Bring A Trailer and sold for $79,000. They took out the stock AMC 5.9L 360 V8 and replaced it with a beast of a motor…a GM 6.3L LS3 V8. It also comes with a 6L80E automatic transmission as well as rebuilt Dana 44 axles with 4.10:1 Nitro gears and Detroit Truetrac differentials. Additional new items include new woodgrain kit with trim, a 2.5” lift, rear disc brakes, a custom 24-gallon fuel tank, new upholstery, and many more. The Wagoneer has been driven 6,800 miles since the build was completed. 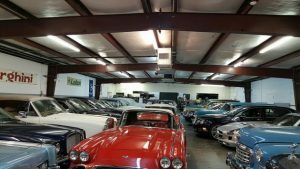 Owner provided build photos and receipts, recent records, a clean Carfax, and a Montana title in the seller’s company name. In addition to fresh paint, suspension, and exterior improvements, this Wagoneer had new items installed, including a new windshield, front grille, hood ornament, NOS light lenses, Hella HID headlamps, and LED lighting throughout. The stock aluminum bumpers had factory holes welded flush and were rechromed along with the rear license plate cover, which now houses a backup camera. The SUV has a 2.5” lift kit over refinished factory 15″ wheels mounted with 33″x 10.50″ BF Goodrich All-Terrain T/A tires. Braking consists of a GM Hydro-boost setup actuating discs at all four corners. The seller also installed a new Class 3 rear receiver hitch. The interior features new leather upholstery with factory-style corduroy inserts plus a new headliner, carpeting, dashboard, and Coco floor mats. 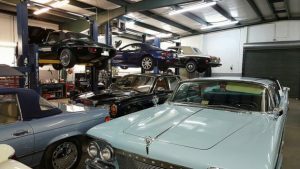 The door panels and chrome trim were restored, and the front and rear seats were moved up 1″ and 2″ respectively for improved adjustability. A custom center console was installed and comes with a leather armrest, power outlets, and two USB ports. The electrical system was rewired and a remote central locking system was installed, which also allows for remote operation of the rear window. The audio system was a superb upgrade compared to the stock system. It comes with new dash tweeters, hidden audio controls on the back of the steering wheel, an Alpine 5-channel amplifier, Pioneer 5.25” front speakers, coaxial rear speakers, and a Kicker subwoofer on a potentiometer. The new owner got to choose between a Pioneer head unit or Android tablet-style stereo. The SUV is equipped with cruise control and factory A/C using new parts and a high-pressure activated SPAL auxiliary fan. The odometer had 149K miles when it was reset during the build, and now indicates 6,800 miles. New body mounts and bolts were installed during the restoration. 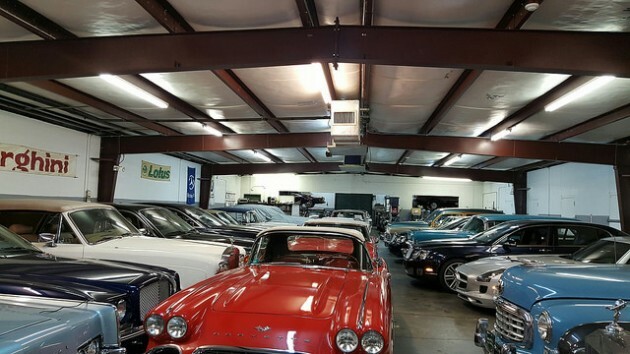 An oil change was completed at around 3,000 mile mark. This is a must whenever you install a new engine, plus a standard thing to do. 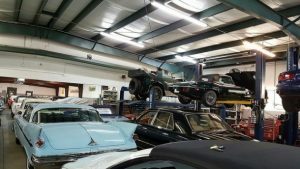 The Motor Masters Restoration Shop is the Premier Restoration Company for Jeep Grand Wagoneers. If you would like a Custom Restomod Jeep Grand Wagoneer restoration just like this one, give us a call TODAY!